Oh sh*t, Halloween is tomorrow! Our very own, resident, extremely powerful-but-good witch. In full regalia with very carefully selected lipstick and nail color. I have been feeling very smug this year because we actually got the whole costume situation worked out waaaay ahead of time. 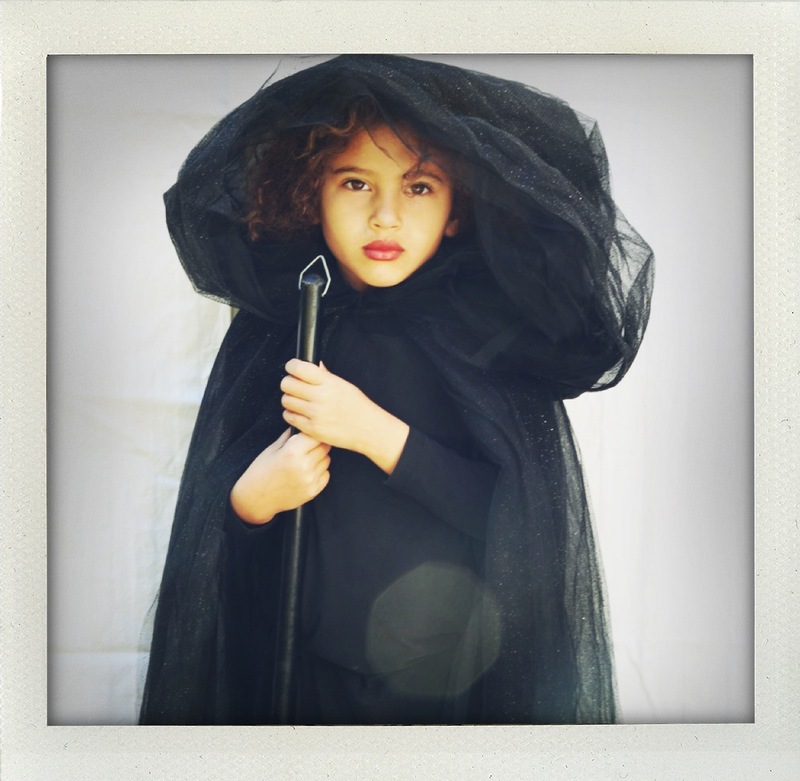 We are a magical family for 2013, with Ada as the witch (powerful but good) Josh as the wizard (who looks more like the grim reaper as he’s wearing a navy blue hooded cape I made for myself in the early 90′s when such things were in fashion) and me as their pet black cat. I wanted to be a ghost, but Mme Witch was having nothing of it. We even went pumpkin picking last weekend. But do we have a trick or treat bag ready? Nope. Have we carved out the aforementioned pumpkin? Negative. Have we decorated the house? No, again. So I find myself today, at the 11th hour, scouring the internet for ideas. I figure I may as well share them with you guys, while I’m at it. Because hey, I have a feeling I’m not the only person out there in my predicament. And we all want to wake up on Nov 1 with our heads held high, right? We’re gonna need it. Our kids are all going to feel horrible from eating so much candy. 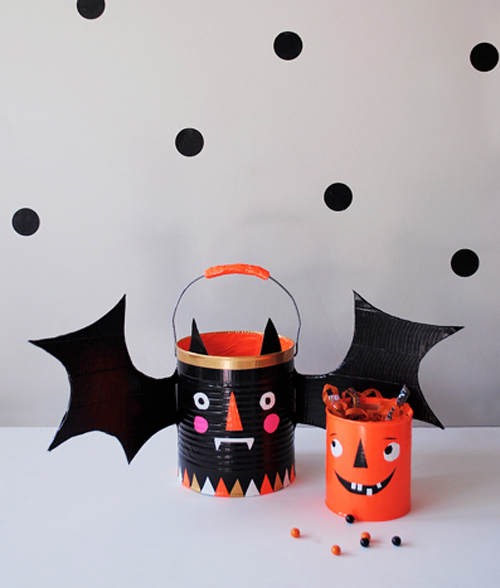 Super simple, very kid friendly spooky decorations for your house. And you can make each one in about 10 minutes. 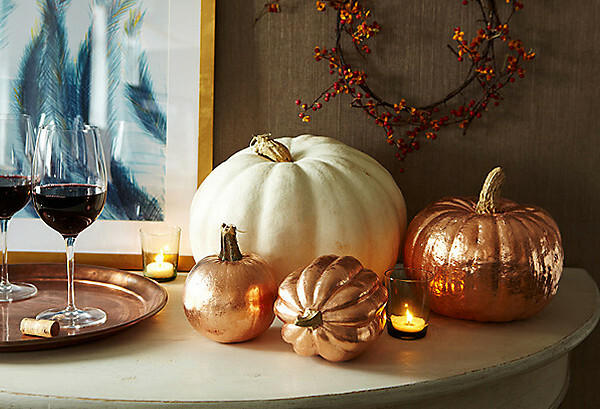 For the truly ambitious, there is always this copper leafed pumpkin display from One Kings Lane. A great DIY treat bucket from MerMag.blogspot.com. The cutest Halloween spider sweets ever. 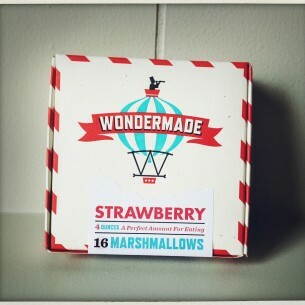 From Bakerella.com. 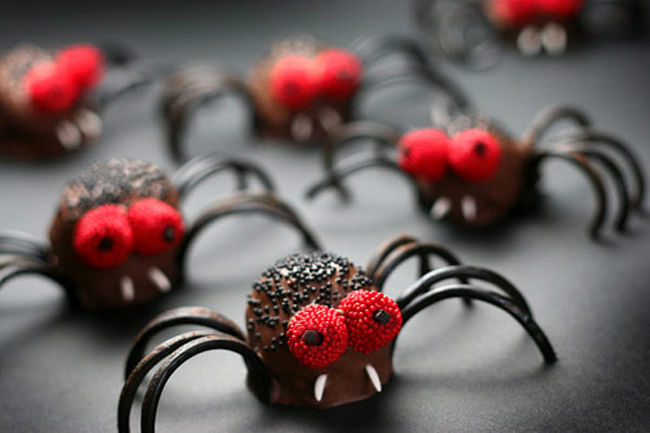 These spiders are made from rolled up brownies, licorice legs, and raspberry candy eyes. How happy would you be to see one of those in your treat bag? If you were 6, that is…? I never liked candy corn, but these cookies look delicious! 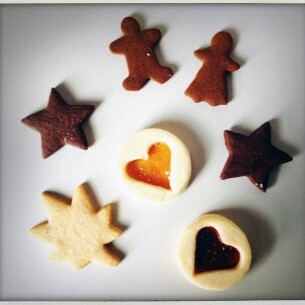 from Baked Bree. 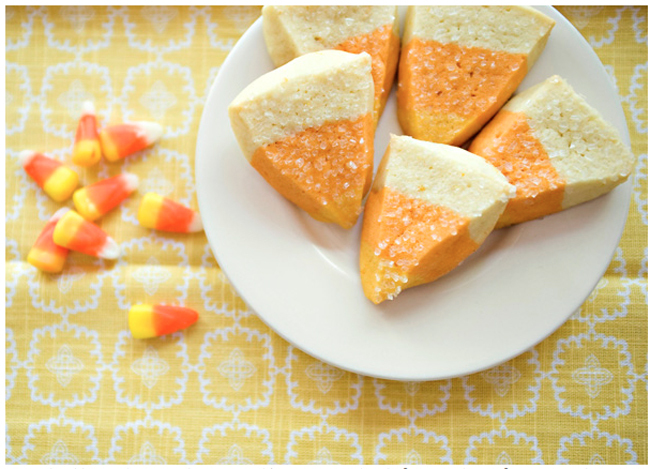 These are sugar cookies with some orange zest and a bit of food coloring to transform them into giant pieces of candy corn. Yum! 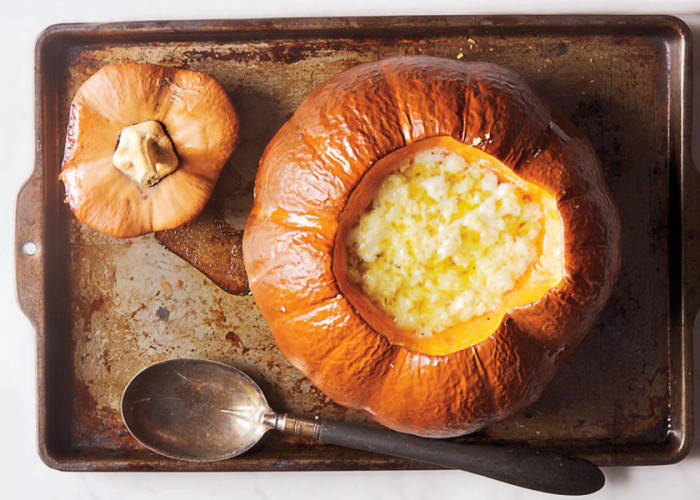 Delicious pumpkin gruyere soup. Both the recipe and the photo come to us from Melissa Hamilton and Christopher Hirsheimer via Bon Appetit. Oh and Bon Appetit just posted this delicious looking recipe for cooking soup inside of a pumpkin, so maybe this year we should skip the carving altogether!